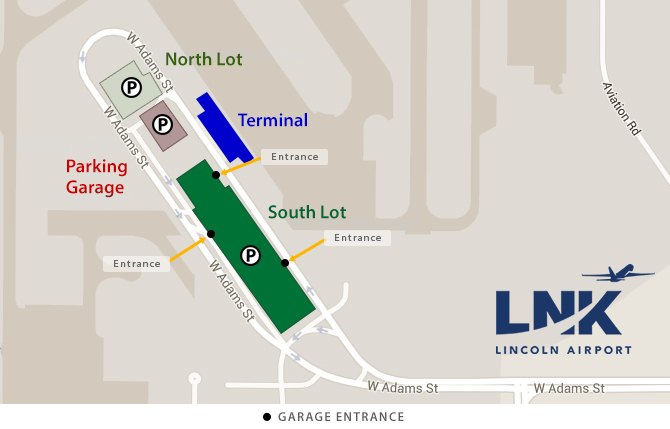 South Lot: The South Lot at Lincoln Airport provides safe, reliable, and affordable parking just a short walk from the Terminal. Sign up for a parking coupon using the form on the left to save $1 off Daily or $5 off Weekly Rate in South Lot. Hourly, daily, and weekly parking is offered at the lot. For your convenience, we accept cash, VISA, MASTERCARD, DISCOVER and AMERICAN EXPRESS. Designated parking spaces located in each parking facility for customers with physical challenges. PARKING QUESTIONS? CALL (402) 475-8080.